Longtime users invested in Apple’s products have accepted (often begrudgingly) that the company attitude towards connectivity is that it will use the technology—sometimes proprietary—that puts its products in the best light instead of what’s most convenient for the user. So you end up with an iPhone without a headphone jack and invest in Lightning headphones that work well and sound great, but due to firmware limitations on the headphones, you can’t use them with the USB-C port on your new 12-inch MacBook. According to a report by 9to5Mac, there’s a new connector type on the way. 9to5Mac says that Apple is working on what is being called the Ultra Accessory Connector (UAC), which is to be used with iPhone and iPad accessories. 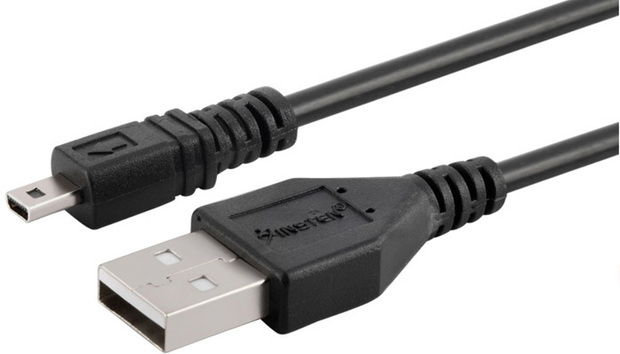 UAC uses an 8-pin connector that measures 2.05 x 4.85mm, with a shape that’s similar to ultra mini USB connectors. 9to5Mac reports that UAC implementation in a gadget requires less space than Lightning or USB-C, which could be the main reason a company would want to use the connector. With the small-space requirement in mind, it makes sense that the initial implementation of UAC through Apple’s Made-for-iPhone (MFi) licensing program is for headphones. Accessory companies can make Lightning-to-UAC, USB-to-UAC, or 3.5mm-to-UAC cables. The Verge says that it has verified that UAC is real, but that it’s simply repurposing an old plug type, pointing out that the 8-pin connector is the same as that used with Nikon cameras. The Verge emphasizes that UAC will not replace the Lightning port on iOS devices, and that UAC will make Lightning and USB-C headphones compatible with other connector types. Ars Technica says it spoke with an Apple representative and was told that the company added the port to the MFi program based on requests by licensees. What this means to you: UAC sounds like necessary technology to make it easier to use your Lightning and USB-C headphones with other connectors. But the bigger picture is the reality of being an Apple user now involves hidden costs for cables and adapters that you have to consider when making a buying decision.